Which one is the single blazon? 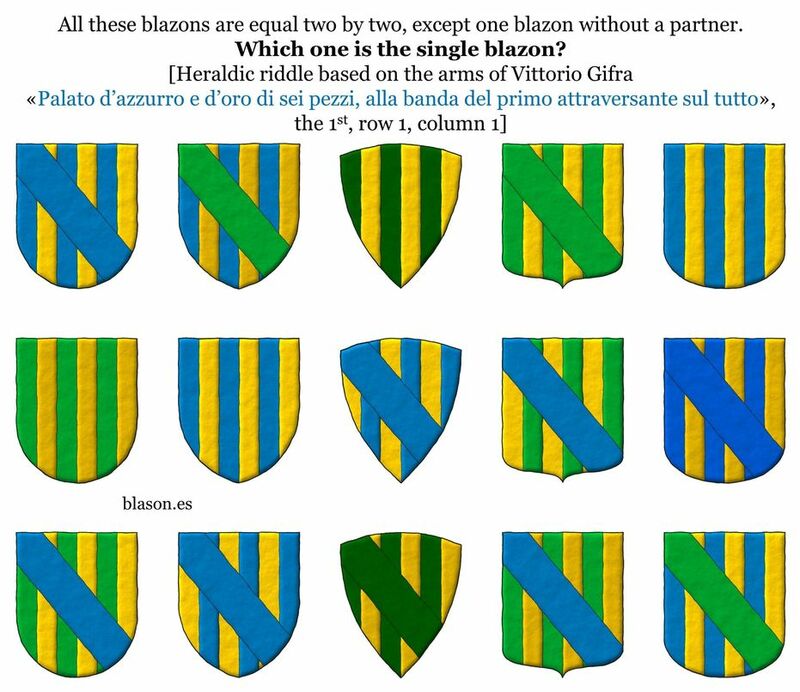 All these blazons are equal two by two, except one blazon without a partner. This is an heraldic riddle based on the arms of Vittorio Gifra, «Paly of six Azure and Or; over all a bend Azure.», painted the very first, row 1 and column 1. 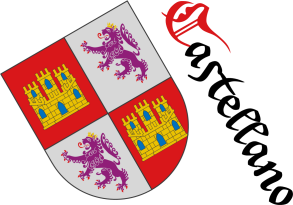 Categories: Riddle, Semi-circular, Pointed, Triangular curved, Pointed and rounded, Rounded, Outlined in sable, Freehand, Paly, Six, Surmounted, Over all, Bend, Azure, Vert and Or. 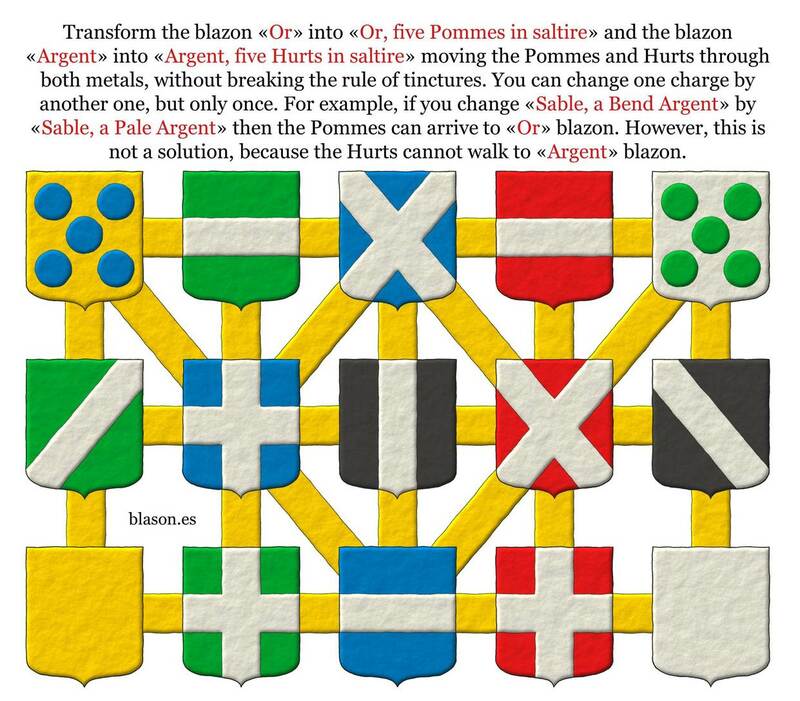 8 shields, but how many blazons? 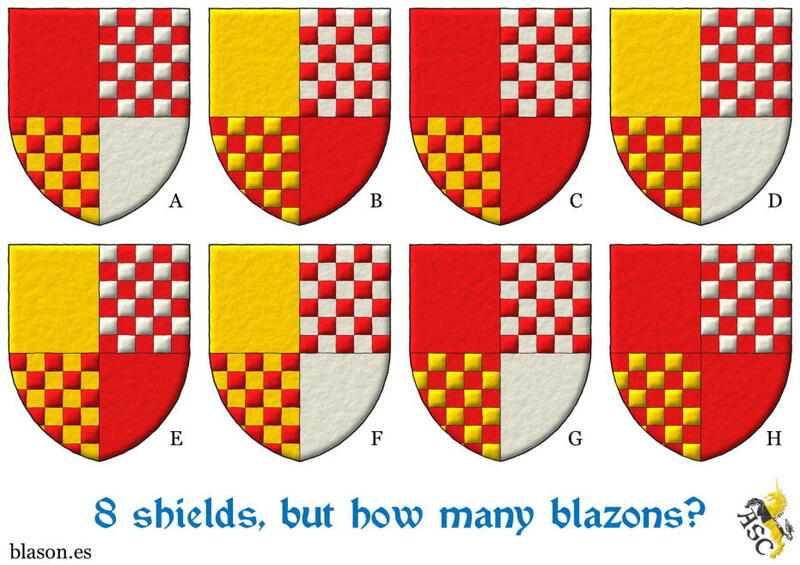 In the following image there are painted 8 shields, but how many different blazons are there? First, think your answer, then write the different blazons and, finally, check if your initial answer was correct. Categories: Riddle, Gules, Or, Argent, Quarterly and Chequey. Categories: Riddle, Imaginary, Sable, Three, Tower and Or. 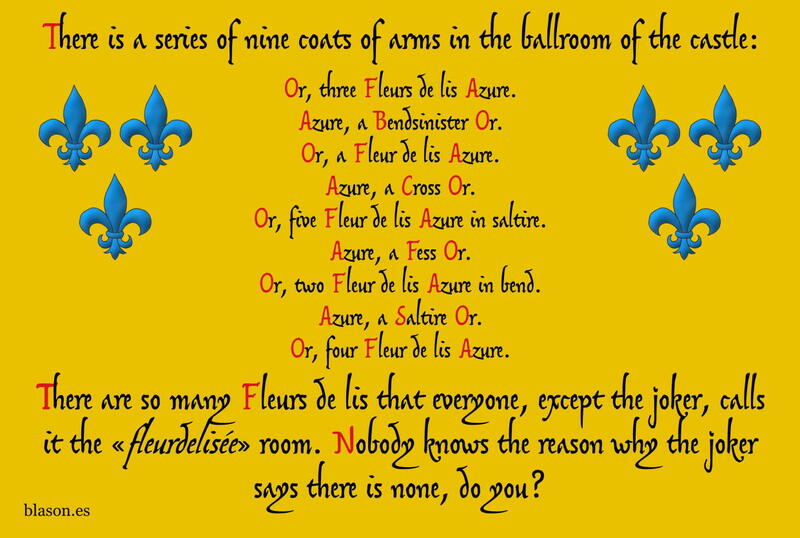 Riddle, Chequey, Pointed, Pointed and rounded, Azure, Bend, Bend sinister, Surmounted, Five, Cross, Cross, Quarterly, Four, Outlined in sable, Two, In saltire, Fess, Fleur de lis, Gifra, Vittorio, Gules, Imaginary, Semi-circular, Or, Paly, Pale, Argent, Rounded, Hurt, torteau, pellet, pomme and golpe, Hurt, Pomme, Sable, Six, Vert, Over all, Saltire, Tower, Freehand, Three, Triangular curved and One.